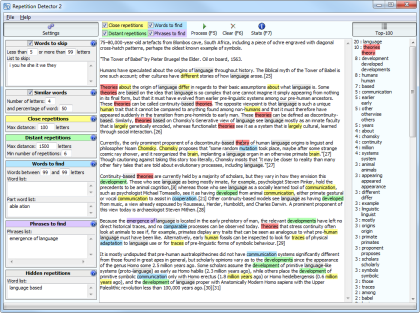 ﻿ Repetition Detector 2 helps you detect repetitions in texts (while preserving your formatting), and much more : overused auxiliairies, adverbs, adjectives and complete phrases are also detectable. 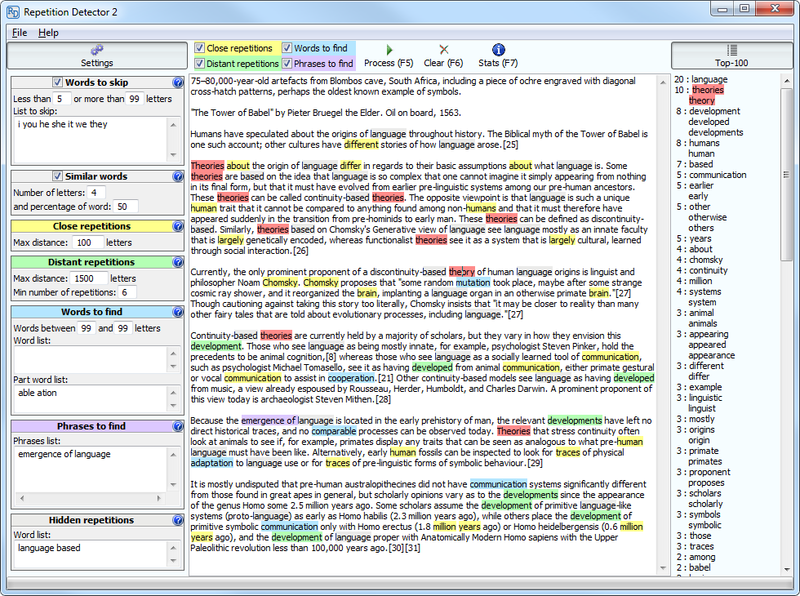 The software is available in English and French but works equally well with texts in Spanish, Portuguese, Italian, German, Dutch, Danish, Norwegian, Swedish, Finnish and Icelandic. For any issue or question, please contact me on the forum or by e-mail.